First off, CONGRATULATIONS on your upcoming wedding! 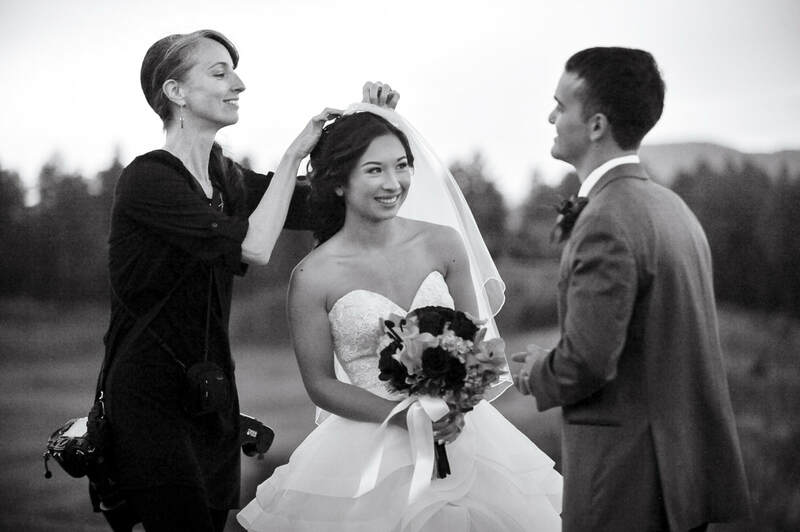 Choosing a wedding photographer is an extremely personal decision and we are always honored to be a part of your day. We have some of the best clients in the world; they are creative, unique, and most importantly crazy in love with each other (like us). Wedding photography is a lot of things, first and foremost it's a celebration of your love! After the ceremony is over you will want to know that your day will be remembered. We would love to talk with you in more detail about the vision for your wedding day. We also need to mention, we've got your back. Our clients are like family. Big or small, we know what it takes to plan and organize a wedding and are with you every step of the way. If you choose to hire us, you will have online access to ALL of our planning guides and tip for your wedding day. Everything is beautifully organized and easily accessible with a tap of your finger. Please contact us ASAP for your date availability. We take a limited number of weddings and elopements per year. All of our wedding packages include a Wedding Book. You'll receive a custom designed book that will be cherished for many years to come. Share it with friends, share it with family, revisit it every year on your anniversary! Arizona is a BIG state and some of these spectacular locations are very remote. We know what it takes to travel and take it seriously. Travel is included for Sedona and Flagstaff. All other areas do have a travel fee. Contact us for details. Our shooting style is romantic, documentary, timeless, classic photography. Really, it's all about LOVE and CONNECTION. We'd love to, always! However, we understand that many of our clients plan a destination wedding and an in-person meeting is not feasible. Therefore, we are happy to schedule a phone consultation so we can talk about your ideas, our expertise, and get to know each other. What if we only want one photographer for our wedding? Weddings are very detailed and there is only one chance to photograph the day. We know what it takes to plan and organize a wedding. We take our job seriously; and as a husband/wife team we work together to capture the moments, assist each other with schedules, timelines, & lighting, and have TWO CREATIVE PERSPECTIVES. For these reasons and so many more, you will always have both of us at your wedding. Are you available for small weddings and elopements? Yes! We love elopements and have a 1.5 hour minimum for small weddings. Saturday elopements have a three hour minimum and are available for limited dates. All of our elopement/wedding packages include a wedding book. It is important for us to give you a beautiful keepsake of your day. Do you travel for destination sessions? YES! We love to travel for weddings, portrait sessions, and events. Our base of operations is in Northern Arizona and we consider Flagstaff and Sedona our backyard. We have a lot of experience at The Grand Canyon, Horseshoe Bend, Antelope Canyon, Desert Botanical Garden, and numerous locations in the Phoenix and Tucson area. We have been traveling around the US to shoot weddings as well. Arranging travel logistics (airplane, hotel, car rental, permits, etc.) can be time consuming and expensive. We do all of our own planning to keep costs down and hassle-free for you. Please contact us for details about your destination event. We are great travelers, expert packers, and our PASSPORTS ARE CURRENT! Please e-mail or call us. We ask for your patience and will typically get back to you within 48 hours. Thank you!